From the Phantom to the Mavic, DJI is known for its drones. This summer, the company stepped up the competition with its newest addition, the Spark. 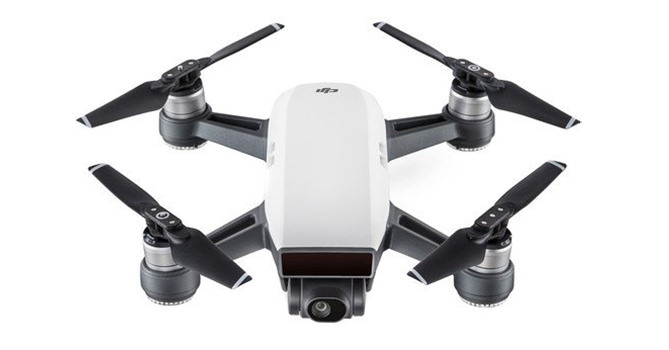 Just by looking at it, it is not like the rest of the DJI drones – literally. The Spark is the most compact drone the company has released, weighing no more than a can of soda and fitting into the palm of your hand. For consumers, the Spark caused heads to turn since its size is convenient for those wanting to pack light. But with innovation, there are sometimes downfalls with certain products and we’re here to break down if the DJI Spark is the perfect drone for you. It is obvious that DJI Spark’s design is one of the main features that make it attractive. The compact size means it’s easy to travel with as you can slide it into any bag with no issue. It also comes in a variety of colors – Alpine White, Sky Blue, Meadow Green, Lava Red, and Sunrise Yellow. The colors are something different in the drone world as most drones tend to be either white, black, or grey. You’ll be able to choose a color that pops now. As compact as the DJI Spark might be, this is mainly due to the body. Unfortunately, the propellers don’t fold into the drone like the Mavic Pro but you can still fold the propellers to make it smaller. Since DJI wanted to keep the Spark as small as possible, the drone doesn’t have extended landing gear. Instead, it has rough feet. This is great for holding and landing into your palm but it can be a bit difficult to land on uneven surfaces. The DJI Spark might be small but it is definitely sturdy. The company itself doesn’t manufacture mediocre drones so you can expect the Spark to be well-designed just like their other models. Simply holding the Spark, you will feel as if you are holding a brick of plastic. Even though the limbs don’t fold in completely, you shouldn’t worry about it snapping in your bag either. The propellers are just as sturdy, too, with heavy ribbing. Ironically, the Spark is light and compact but tends to be one of the hardiest drones in the business. The Spark is definitely a drone to be reckoned with. It is small, yet sturdy, is sold at a fair price, and has features its other competitors lack. But when it comes to the camera, there is a downside. Spark lacks a 4K camera and the ability to shoot photos in raw files. The drone’s 1/2.3” CMOS sensor shoots stills at 12 megapixels and captures videos in 1030p at 30 frames per second. For its size and price, the Spark holds quite an impressive amount of features. It almost has the same features as the Mavic Pro and newer drones as well. When it comes to flying modes, the Spark has many. It has the DJI’s standard modes but also exclusive ones, like the Rocket, Dronie, Circle, and Helix, which makes the Spark special. The Rocket allows the drone to lower quickly with the camera pointing down; the Dronie flies up and backward while focusing and locking on a subject; the Circle orbits while staying locked; the Helix orbits outward in a spiral manner. DJI made it easy for you to switch from each mode with just a few taps from your smartphone. The Spark also has gesture recognition abilities which allow you to control it with or without a smartphone or controller. Along with that comes the obstacle avoidance system. This is usually built-in for larger drones but DJI decided to incorporate it into the Spark as well. Even though it doesn’t perform as well as the same feature in the Phantom 4 or Mavic Pro, it does help to avoid crashing. It has been said by DJI officials that the Spark’s battery life can last up to 16 minutes with a full charge. In comparison to the Spark’s competitors, it has the capacity to fly longer. But, the drone does come with two batteries so, on average, you’ll get about 32 minutes of airtime. When recharging the battery, it could take about 45 minutes to get it back to 100 percent. Although, this depends on how much you drain the battery which will determine how long you will wait for a full charge. If you decide to recharge after the first low battery warning, it will take between 30-35 minutes. DJI wanted to innovate what the company had to offer by creating a compact drone that will be easy to carry around. It’s safe to say that the Spark is definitely one of the best portable drones in comparison to its competitors. Yes, it doesn’t shoot video in 4K, but it does have features that outshine the rest. It’s fast, flies for a longer period, and made from a brand that delivers top-notch gear. The DJI Spark’s closest competition is the Yuneec Breeze. Unless you need to record 4K video, the Spark is the clear winner between the two. The DJI Spark fits easily in many spaces and packs easily with the rest of your gear. Those looking to have the crisp visuals in video might be a bit disappointed since the camera only captures in 1080p and not 4K. Aside from that, you can fly it for a longer period of time in comparison to other compact drones. And, with two batteries included in the package, it makes for a reasonable amount of time to capture what you want.